As the new owners since October 2014, Catherine and Hugues welcomes you in their 14 newly renovated and comfortable rooms. Family friendly, ideally located 50 meters from the City Hall and Castle Gardens, La Carpe d'Or is also close to the prestigious school, INSEAD,5 minutes from the "Grand Parquet" and the Golf court, and 10 minutes from "La Solle" racecourse . You are at just 5 minutes drive from the Forest of Fontainebleau and many restaurants and pubs are at walking distances. Are you planning to stay in Fontainebleau for a few days? 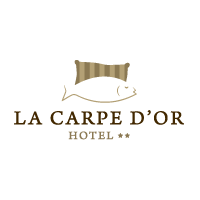 La Carpe d'Or meets your needs by providing you with comfortable rooms in a friendly atmosphere. We reserve you a warm welcome and a satisfactory service with our 14 spacious and modern rooms. Are you coming for a business trip, a romantic getaway or a weekend with the family? Our rooms are suited to your expectations. You have the choice of a twin bedroom, a double room or a family room. If necessary, we will put an extra bed at your disposal. You can book for a week or a month and get special offers. Our equipment and services guarantee maximum convenience and comfort, such as internet connection via Wi-Fi, and many others. Do not hesitate to trust us for your visit in Fontainebleau and its surroundings. We'll be happy to host you! La Carpe d'Or is the ideal place to stay during your visits in Fontainebleau. We are just a few steps from INSEAD, the famous international school. Therefore, if you have to attend to a business there, our hotel is convenient for you. Our hotel site is a real tourist attraction. Several cultural and sports activities are available close to us. For example, you can walk to visit the castle, a historical heritage. If you want to attend a horse show, the racecourse is at 10 minutes. You only need 5 minutes drive to the forest of Fontainebleau for your hiking and climbing activities. Irrespective of the reason of your trip, we will be delighted to have you as a guest. You can contact us as from now! Choose our hotel for your stay in Fontainebleau!